The JR Rail Pass is a discounted travel pass offered by Japan Railways (JR). It is available exclusively for foreign tourists and offers unlimited travel on the extensive JR train network (including the famous bullet trains), selected JR buses and selected JR ferries. Just one pass covers travel in every corner of the four major islands of Japan. If you are planning on making long distance trips within Japan, the JR Pass offers a fast and affordable travel alternative. For example, a return trip from Tokyo to Kyoto will cost you around the same price as a 7 day Pass. The Japan Rail Pass is also referred to as a JR Rail Pass or JR Pass. 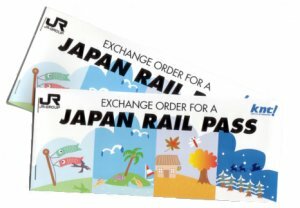 When you purchase your Japan Rail Pass you will receive an Exchange Order voucher. You will then take this with you to Japan where you will trade it for your actual Japan Rail Pass. Make sure you keep this safe as this is required to get your JR Pass. Please be aware that to save from 10% – 13% on your pass you MUST purchase it BEFORE you arrive in Japan. The Exchange Order voucher will be valid for 3 months from the date of issue. – Am I eligible for the Japan Rail Pass? – How does the Japan Rail Pass work? – What is included in the Japan Rail Pass? – What is not included in the Japan Rail Pass? 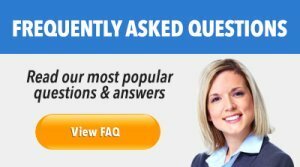 – How do I find out if my travel is covered? – Is the Japan Rail Pass worth it? – When is the Japan Rail Pass not worth it? – How do I plan my trip and look at an online timetable? – What is the price of the Japan Rail Pass? – How do I purchase the Japan Rail Pass? – Issue, exchange and activation date information for the Japan Rail Pass. – How do I swap over my Exchange Order voucher for my Japan Rail Pass? – How do I reserve seats on the trains? 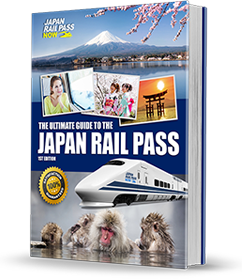 – How do I use my Japan Rail Pass for boarding trains? 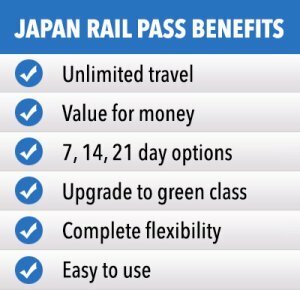 The Japan Rail Pass, also referred to as a JR Pass/JR Rail Pass, is a cost effective travel pass offered by Japan Railways (JR). It is available exclusively for foreign tourists and offers unlimited travel on the the JR Group famous Shinkansen “bullet trains” *, limited express trains, express trains, rapid/local trains, JR bus company lines and JR Miyajima ferry. Just one pass covers travel in every corner of the four major islands in Japan. If you are looking for a fast and affordable travel alternative, then this is for you. There are various types of Japan Rail (JR) Pass options which include 7, 14 and 21 days of travel. You can choose between Economy and Green (premium) class. Both adult and child prices are available for each JR Pass option, with children aged 6-11 receiving a 50% discount. Children under 5 years of age can travel for free, but they aren’t entitled to a seat (i.e. they will need to sit on your lap). A child’s age is based on the date of issue on their exchange order voucher. Shinkansen trains can travel at speeds of up to 320 kilometres an hour! To put that into perspective, that’s nearly four times faster than typical Australian passenger trains. Taking the Shinkansen will get you to your Japanese destinations much faster, as well as providing you with a unique travelling experience. You can also use your JR Pass for discounted accommodation at JR-affiliated hotels! These hotels are all conveniently located near key train stations. Most are also near popular restaurants, shopping areas and attractions. There are a variety of hotels available to suit all budgets, from discount through to luxury. Hotel rates will vary depending on the season and exchange rates at the time. *The Nozomi and Mizuho Shinkansen services are excluded. The JR Pass is currently only available to overseas travellers entering Japan as temporary visitors. Australian passports holders will get this on arrival to Japan. All other nationality passport holders should check their visa requirements for Japan. Visitors who enter Japan under other statuses are not eligible. What is not included in the Japan Rail Pass? What are some popular routes covered by the Japan Rail Pass? To find out if your trip is covered by the pass you can use our planning section of our website here. JR Passes are available in 7, 14 and 21-day options which run in consecutive days. If you’re planning to be in one place for part of your holiday, you might be better off buying individual tickets during that time and using your JR Pass when you plan on doing extensive city to city travel. The JR Rail Pass offers two different types of travel options. You can travel by Economy or Green (business) class on the Shinkansen (bullet train) and various other trains. Green class travel provides you with more space and comfort. Seats are in pairs with more leg room, rather than being in rows of three like they are in Economy class. Depending on the train, you might also get foot rests in Green class and additional features like charging facilities for your electronic devices. Economy class is the cheaper option and is still a very comfortable way to travel Japan. JR Passes are available for both adults and children. Children aged 12 years and over are classed as adults on the Japan rail network. Infants aged 0-5 aren’t required to have a Pass travelling with an adult pass holder. However, they aren’t guaranteed a seat and if the train is full you must place them on your lap. How do I find out if my travel is covered? To see what is covered by the JR Rail Pass you can find further information in the following sections: What’s Included, Map & Popular Routes or our planning section of our website. You can then enter in your potential travel destinations and you’ll get options which are on the Japan Railways Network. 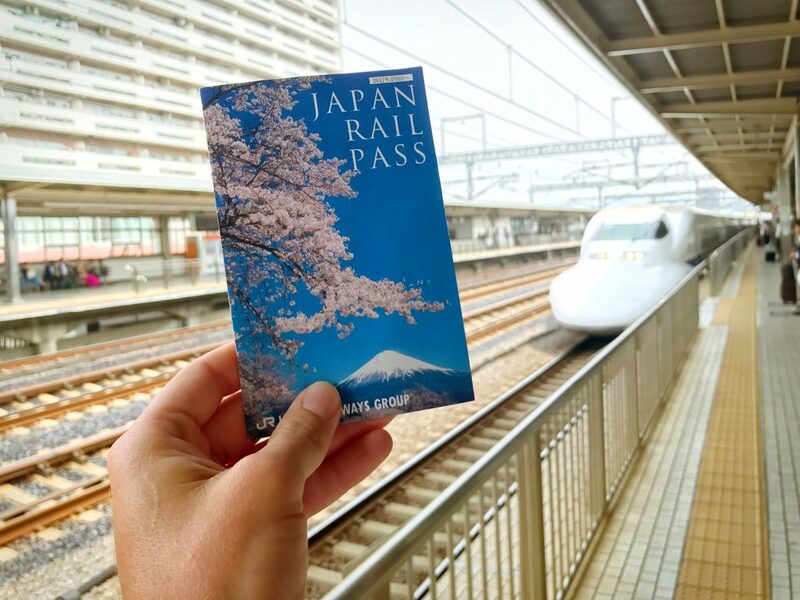 “Is the JR Pass Worth It?” & “Should I get the Japan Rail Pass?” – These are two of the most common questions we receive here at Japan Rail Pass Now. The answer is simple – it really depends if you will save money using the Japan Rail Pass instead of purchasing single sector train fares. The JR Pass offers an awesome travel experience on the bullet train, convenience and can potentially save you hundreds of dollars on your trip. Basically if you plan on doing some long distance travel then it may be. For example, if you go from Tokyo to Kyoto and use the Narita Express for your airport transfers then it’s worthwhile getting a 7-day pass. The easiest way to figure out if it’s worthwhile is to use the planning your trip section our website, put all your travel legs + costs together and calculate if it’s ultimately cheaper. You can also use a Japan Rail Pass calculator here for a basic summary. ** The 7 day economy adult JR Pass cost at the current time was $346. ** The 14 day economy adult JR Pass cost at the current time was $551. When is the Japan Rail Pass not worth it? The only real way to determine if the JR Rail Pass is not worth it, is to compare your single sector train fares vs the JR Pass price during a specific time period (i.e 7/14/21 days). • If you’re super budget conscious. There are cheaper ways to travel around Japan on alternative options, although generally speaking they are slower and have other trade offs. If you buy an Exchange Order voucher online before you leave for Japan, you can save 10-13% off your JR Pass price. You simply swap your voucher when you arrive, this process is covered in further detail later in the article. Buying your Exchange Order voucher also helps you with budgeting for your trip as well. You can lock in the price of your JR Pass at the current exchange rate, protecting you if rates go up before you arrive in Japan. 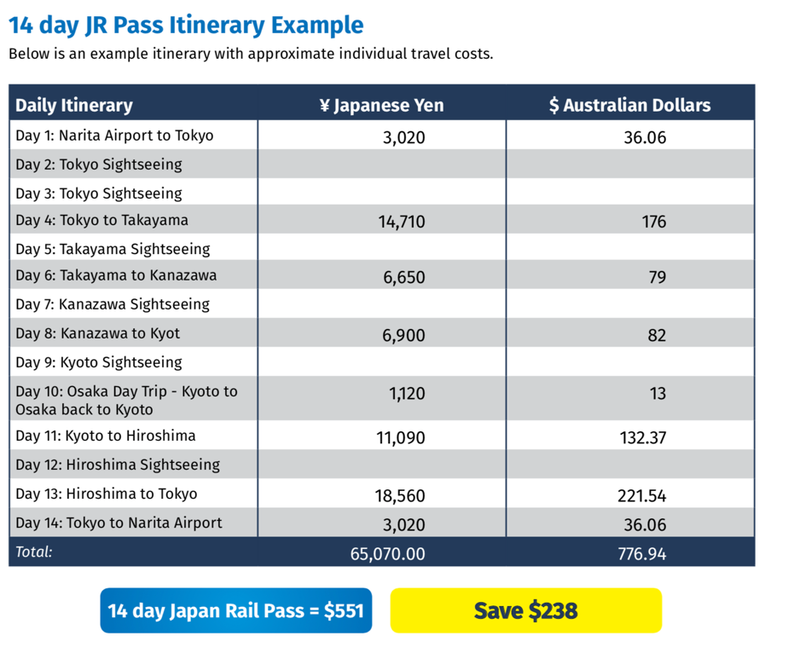 If you’re planning extensive travel while you’re in Japan, a JR Pass could save you hundreds of dollars. For example, if you’re planning on popular return trips like Tokyo to Osaka or Tokyo to Kyoto, either one will cost you about as much as a 7-day Economy JR Pass. But if you have a JR Pass, you can use it for any other travel that you want to do as well. 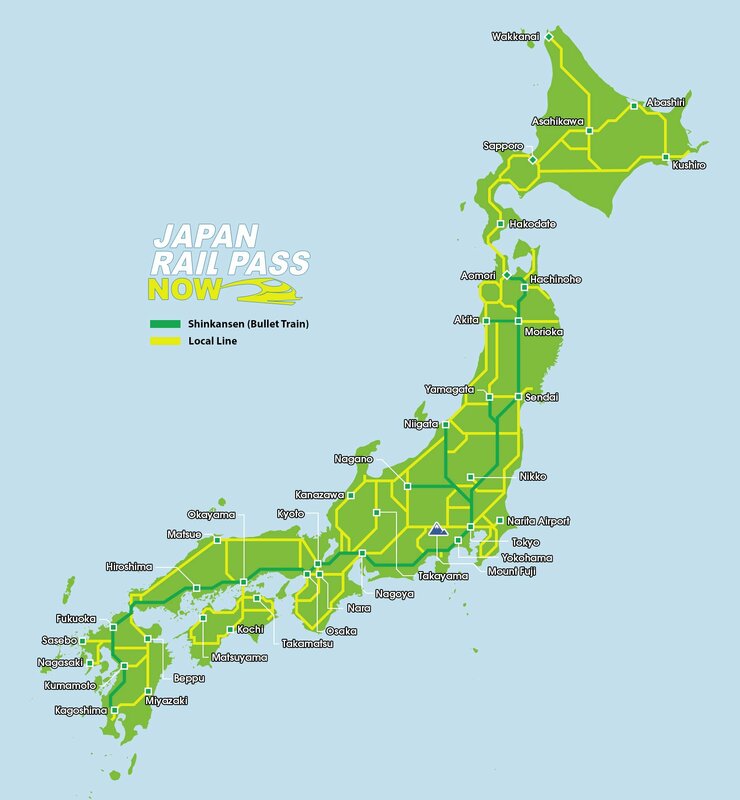 The JR Pass is the only one that covers all of Japan. You can use it to travel to and within each of Japan’s four main islands; Honshu, Hokkaido, Kyushu and Shikoku. That’s where you’ll find all of Japan’s major tourist attractions, like Mount Fuji, the Imperial Place in Tokyo, and Osaka Castle. The JR Pass allows you to travel anywhere on the Japan rail network at any time. If you miss a train, just jump on the next one without any additional fees or charges. It can be a hard to get a seat on Shinkansen trains during peak travel times. For example, during summer or when major festivals are on. You can avoid missing out on a seat by booking them in advance with your JR Pass at a ticket office prior to travelling. How do I plan my trip and look at an online timetable? If you’re looking for inspiration to get the most out of your trip, then be sure to check out some of our sample itineraries. If you are looking to plan your trip around Japan then check out our planning your trip page. It gives you step by step instructions on using the Hyperdia website and covers timetables and routes for all Japan railway lines, bus lines and domestic flights. You can use this tool to see if the Japan Rail Pass is right for you. What is the price of the Japan Rail Pass? 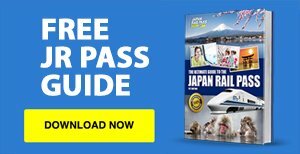 How do I purchase the Japan Rail Pass? 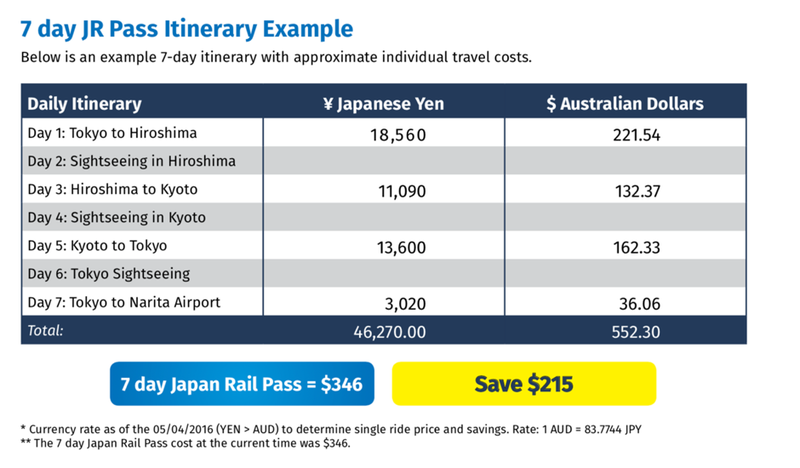 You can purchase your pass through us here at Japan Rail Pass Now before you leave Australia. 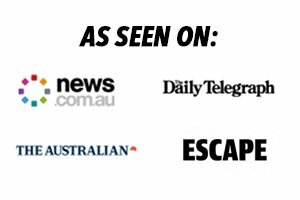 We service all Australian States and Territories. You can purchase the JR Pass in Japan on trial until March 31, 2019 – however the prices will be 10-13% more expensive. After your purchase your JR Pass, you’ll receive an exchange order voucher which we ship using Australia Post. Allow at least 10 business days to receive this voucher if you live in a remote part of Australia. The exchange order voucher is valid for up to three months from its date of issue. When you arrive in Japan, your passport will be stamped identifying you as a temporary visitor. You simply take your voucher and your stamped passport to a JR exchange office. There you’ll need to fill in a short form and select your travel start date to redeem your JR Pass. The travel start date doesn’t need to be the same day you redeem your pass, it can be any date within a month of that date. However, once a pass is issued, its starting date cannot be changed. Date of Issue: After you purchase your JR Pass online then you will be issued with your Exchange Order voucher. This generally happens within 24 hours. You will then have 90 days to swap over your Exchange Order voucher for your JR Pass in Japan. That means you can only purchase your JR Pass within 3 months of your planned travel. Exchange Date: This is essentially the day you exchange/swap over your Exchange Order voucher for your JR Pass in Japan. This has to be within 90 days from the date of issue, as discussed above. Starting Date: You will select a starting date when your are swapping/exchanging over your Exchange Order voucher to your JR Pass. Once this has been selected it cannot be changed. The period of use is based on calendar days and it will start at midnight on the starting date and expire at 11.59pm on the 7th/14th/21st day. In the example you can see the most economical way to use the JR Pass is to start it on the 04/04 which will cover the expensive part of the trip. For the the first 3 days in Tokyo people may choose to use IC Prepaid Cards which cover the metro, however, you can still use your JR Pass on the JR Lines if you have it started already. 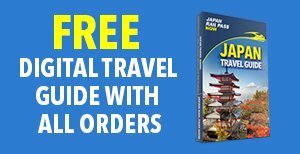 How do I swap over my Exchange Order voucher for my Japan Rail Pass? It’s simple to do once you arrive in Japan. First, you’ll need to find a JR exchange office. You can find them at all the major international airports such as Narita, Haneda (Tokyo), Kansai etc. Alternatively, you could find your nearest exchange office away from the airport at stations in the major cities. These exchange offices are often less crowded than those in airports, so you’ll usually be able to get your JR Rail Pass more quickly at them. You can find a full list of JR Pass offices here. Exchange offices in Japan are usually called “Midori no Madoguchi”, which means “Green Window”. As that name suggests, they have a large green sign with the JR logo on them, so they’re easy to spot. Once your form has been checked on-the-spot by a staff member, you’ll receive your JR Pass. Simply show it each time you enter train station gates to travel during its valid dates. This will allow you to access Japanese train station platforms. 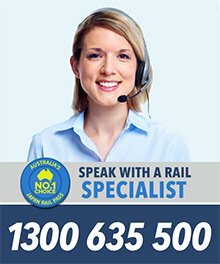 How do I reserve seats on the trains? The JR Pass provides you with the option of reserving your seats for free. All you need to do is present your JR Pass to any JR ticket office at stations throughout Japan. Many customers choose to do this at the same time as they swap over their Exchange Order voucher. For most other services, making reservations several days in advance may be necessary during busy travel periods (e.g. holidays such as Golden Week between late April and early May, Obon in mid-August and New Year from 29 December to 3 January). If you’re travelling in a group and want to ensure you can all sit together, reservations provide you with the peace of mind that you can travel when and how you want to. How do I use my Japan Rail Pass for boarding trains? The JR Pass is your ticket and you need to present it at the manned gates (you cannot use your JR Pass at the automatic gates). The only other ticket you’ll need is a reservation ticket if you have reserved a seat in advance. Remember, it doesn’t cost you anything to reserve a seat if you’re a JR Pass holder. Occasionally, you might be asked for your passport at the manned gate as well, so it’s recommended to always have it with you. You can read more about using your pass here. – don’t block aisles with your luggage. Place small to medium-sized bags in the racks above the seats, and large luggage at the back of the carriage where there is dedicated space. – If you have a reserved seat, sit in that seat. Don’t move to spare seats which may be taken by people boarding at different stops on the route. It would be uncomfortable for most Japanese people (even conductors) to have to ask you to move. – Orderly queues are formed when boarding trains, with painted signs on the platforms providing a guide. – All Japanese stations display station names in both Japanese and English on their platforms. – Avoid travel during early morning (7.30-9.30am) and late afternoon/early evening (5-8pm) peak hours if possible. – Mobile vendors on some long distance Shinkansen and limited express trains sell boxed lunches (ekiben), snacks and drinks. You’re allowed to eat and drink on long distance trains and you can take your own food on. – Wheelchair-accessible seats are available on most Shinkansen and limited express trains. The Japan Rail Pass is a great option for those travellers planning to explore the country at speed and in style. The team at Japan Rail Pass Now always recommend that you get together a basic itinerary which will help you see if the JR Pass is right for your trip. If you have any questions feel free to contact us. Your pass to discovering Japan! For more information on the Japan Rail Pass have a look around our in-depth site or go to the official Japan Rail Pass website.